It’s worth remembering, in this sesquicentennial year of the war, that in 1864, as the May issue of the American Rifleman magazine puts it “more and more repeating rifles—[seven-shot] Spencers and ‘sixteen shooter’ Henrys—made their way into Union units. It’s a bit misleading to refer to these rifles as “repeaters” since they were semiautomatic not fully automatic. But semiautomatic was new and devastating enough. The dwindling ranks of the 13th Mississippi Regiment, augmented by recovered wounded, late volunteers and a few conscripts, encountered semiautomatics often enough to notice the trend—including at the First Battle of Deep Bottom in July just north of the James River east of Richmond. And while the lever-action, breech-loading Spencers, firing self-contained (primer, powder and bullet in one package) .56-56 copper-rimfire cartridges, carried the day as long as the Rebels were advancing in the open, once they had retreated to their rifle pits to load and aim their single-shot rifled muskets, they halted the Union advance. 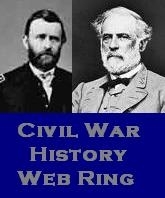 The 13th and the rest of the Mississippi Brigade weren’t so lucky in September at Berryville in the Shenandoah Valley. There they again encountered Sheridan’s Spencer-armed cavalrymen but this time, they were not only routed but their brigade commander, Gen. Benjamin Grubb Humphreys, was wounded and went home from the war for good. This entry was posted in Battles: Berryville, Battles: First Deep Bottom, Gen. Benjamin G. Humphreys and tagged 13th Mississippi Infantry Regiment, American Rifleman, Berryville, Civil War, First Deep Bottom, Spencer rifles, the guns of 1864. Bookmark the permalink. By the end of 1864, the Rebel army had been worn down so much, that in spring 1865 all it took was a determined push by the Federals to knock down the Confederacy.